Tofu is a soybean curd made from soybeans, water, and a natural coagulant. How should I store tofu? 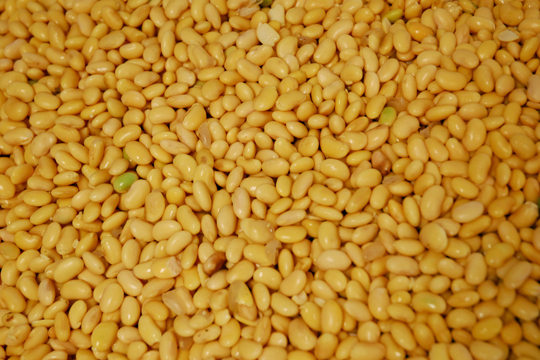 Phoenix Bean products contain no preservatives and should always be refrigerated to maintain peak freshness and taste. All of our products have a shelf life of approximately two weeks. Our water-packed tofu should be stored fully submerged in fresh water refreshed every couple of days. Our dry packed products (such as Fried, Smoked Five Spice, Turmeric tofus, and Soy Noodles) do not benefit from water storage. These products can be stored in your freezer to significantly extend their shelf life. Thaw frozen products in lukewarm water prior to use. We recommend that any Phoenix Bean products not frozen or refreshed in water be consumed within five days of opening. How can I cook tofu? Tofu is already a cooked product and is ready-to-eat. You can serve tofu directly out of its packaging with a marinade or dipping sauce. Softer tofu can be blended into smoothies or sauces, sautéed, used in soups, or simply steamed with a marinade. Firmer tofu can be grilled, baked, broiled, barbequed, or stir-fried in your favorite recipes. See our Recipes for serving suggestions. Tofu is a soybean curd made from soybeans, water, and a natural coagulant. Commonly used natural tofu coagulants are magnesium chloride or calcium sulfate. 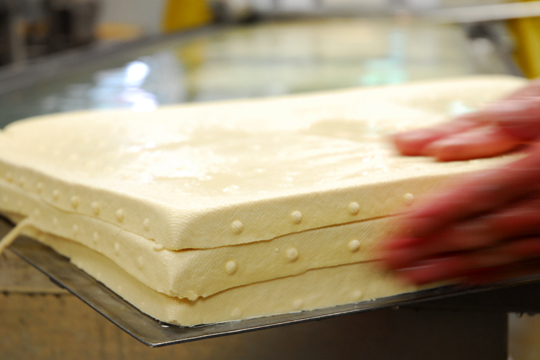 Watch a video to see Phoenix Bean tofu being made! Who is talking about Phoenix Bean tofu? Phoenix Bean products are a favorite of many Chicagoans. Check out one of the articles or videos below to see what everyone is raving about!